Half Session ~ $250 This package is approximately 15-30 minutes and includes 10-15 images on a USB drive and a 8×10 print on matboard of any image from your session. May only be used in one location. Full Session ~ $350 This package is for a 30-35 minute long session. You will receive 25-30 images on a USB drive and two 8×10 prints and one 5×7 print on matboard of any images from your session. You may use two locations for this type of session with travel time not counting against your session time. 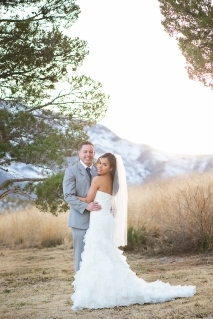 Ideal for: engaged couples, maternity session, or families. This package is not timed since newborns work on their own schedule, so that does mean I may take an extra day to ensure that I am able to capture the memories and poses you want to treasure. This is typically an in-home session but if the weather is a good temperature for baby can be done partially outside too. You will receive 25-30 images on a USB drive and two 8×10 prints on mat board of any two images from your session and a mini-accordian album. Headshots ~ $75 Professional quality headshots on location. You will receive 3-5 images through dropbox. I do offer payment plans for those who may need a little extra time to pay! Just let me know and we can set up a contract and frequency for that! Deposit must be paid in full and images will not be release until full payment is received.